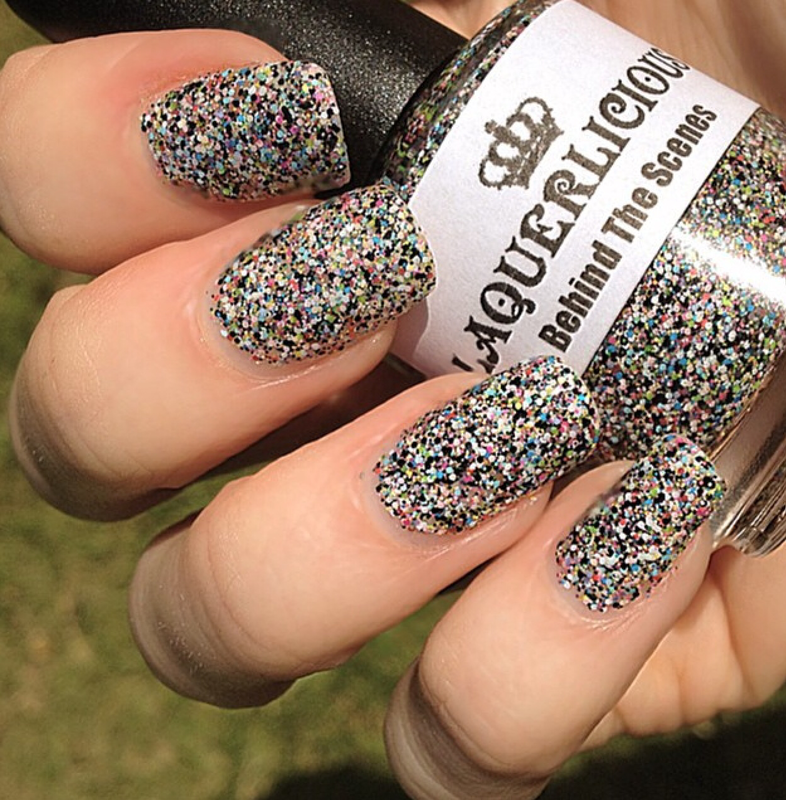 Today I have three utterly stunning glitter polishes to share with you. They are from a brand I’ve only recently discovered and perhaps sadly for my wallet have totally fallen in love with! The brand is Laquerlicious and is the polish brand of the very talented Michelle Neasbitt (details of her shop and social media at the end of this post). The second polish I tried from the same collection ( Lights Camera Action) is called Class Act and I absolutely love it. 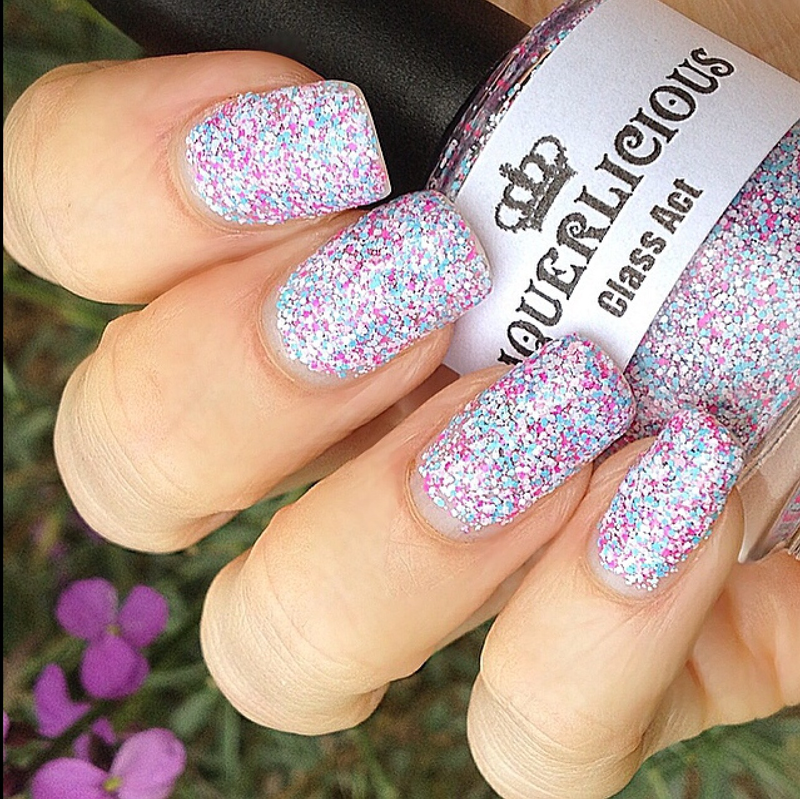 Again a mix of matte and neon micro glitter in pinks blues and white which result in a truly unique finish! Both were opaque in two coats and smoothed out beautifully after popping on a topcoat. 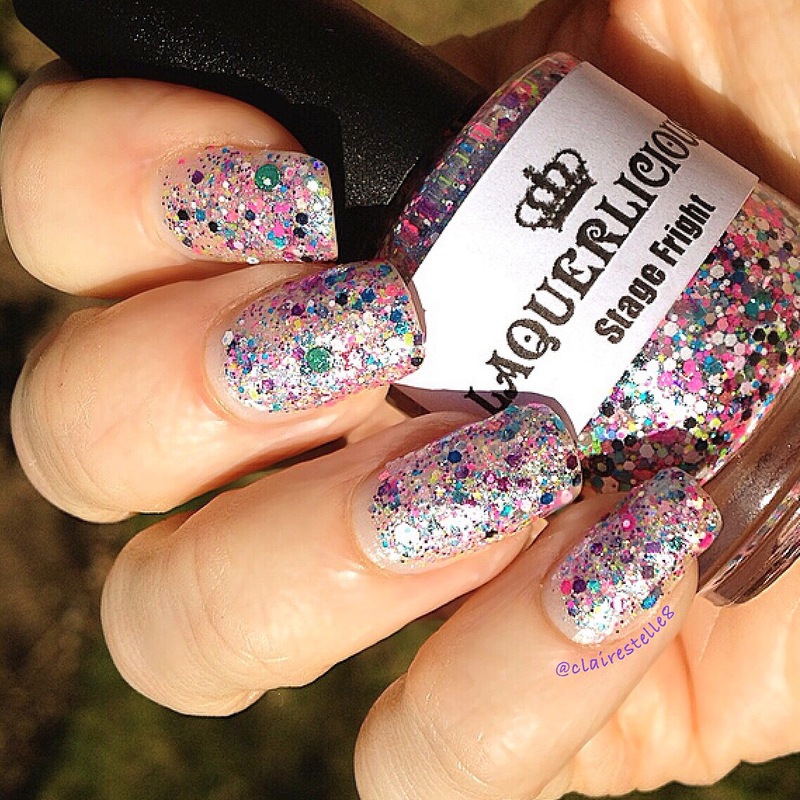 Stage Fright has a stunning shimmery blue base with a wonderful multicoloured mix of matte and holographic glitter. This would work well as a glitter topper. Again I loved it as full coverage. Impossible to capture how beautiful it is. Sadly this is not currently being stocked in the Laquerlicious shop but there’s always the hope it might make a return! 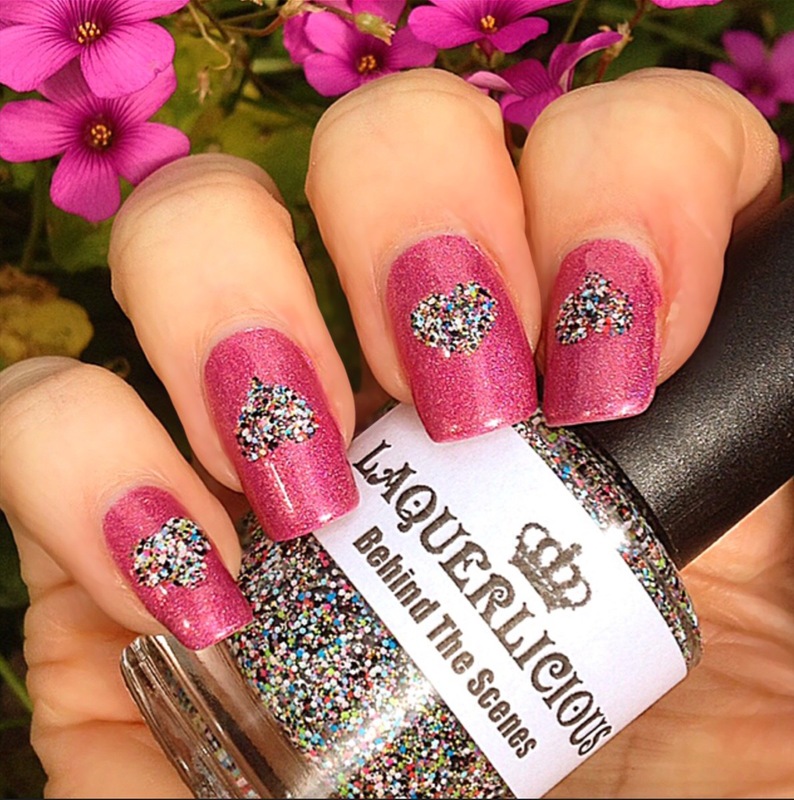 Laquerlicious polishes can be purchased at http://laquerlicious.bigcartel.com/ and be sure to follow Michelle at http://www.instagram.com/creativenailchick and https://www.facebook.com/laquerlicious for all shop updates!